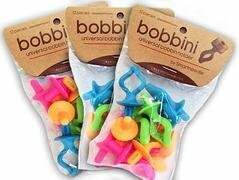 Keep your bobbins and matching thread together with Bobbinis Bobbin holders. Made of rubber that adjust to any spool diameter. Works with Type A-class 15.